Our Naturescaped Yard Tour is Taking a Break this year! Join us instead at our Open House on June 1st. Come tour our lush garden and green (sustainable) features that we have added to our historical building! 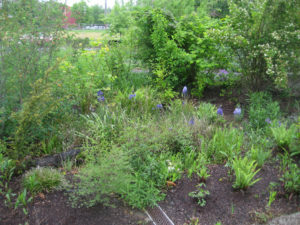 This free, family-friendly event allows you to explore urban nature that features native plants, rain gardens, eco-roofs, a composting toilet, pervious pavement and more! You’ll walk away with new ideas for how to care for the land and water in your yard. 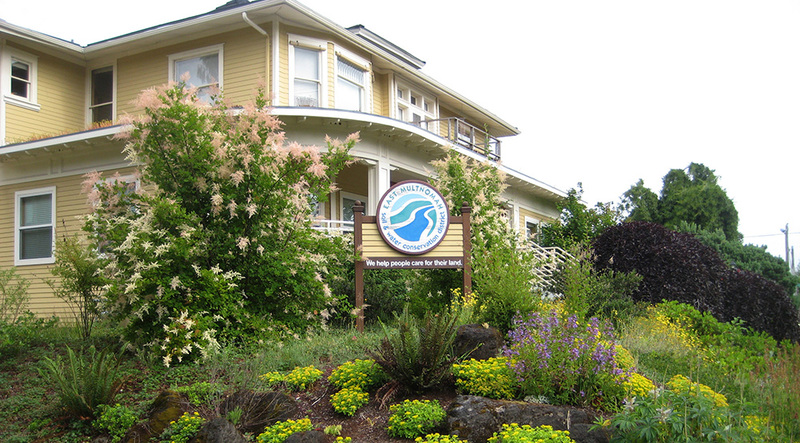 All are welcome to EMSWCD’s Open House and Garden! This FREE event is open to the public. No registration necessary. Be sure to tell your friends! Address: 5211 N. Williams Ave.
We are located in the Humboldt Neighborhood on N Williams Avenue, two blocks north of Alberta St.
Take the Yellow Line to the Killingsworth/Interstate station. Walk east on Killingsworth to N Williams. Turn right (south) on N Williams Ave and reach our office at 5211 N. Williams Ave. Portland, OR 97217. Visiting us by bike? We’ve got a covered bike shed where you can park and lock your bicycle! Visit us by bike!! 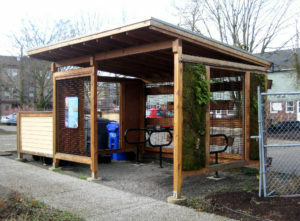 We’ve got a covered bike shed where you can park and lock your bicycle! While our grounds are ADA accessible, there are varying types of terrain including gravel pathways throughout the garden. If you have any questions or require special accommodations, please contact Monica McAllister at (503) 935-5371. Learn more about our building and yard's green features! Find out about our naturescaped green spaces, rain gardens, an eco-roof, pervious pavement and more!